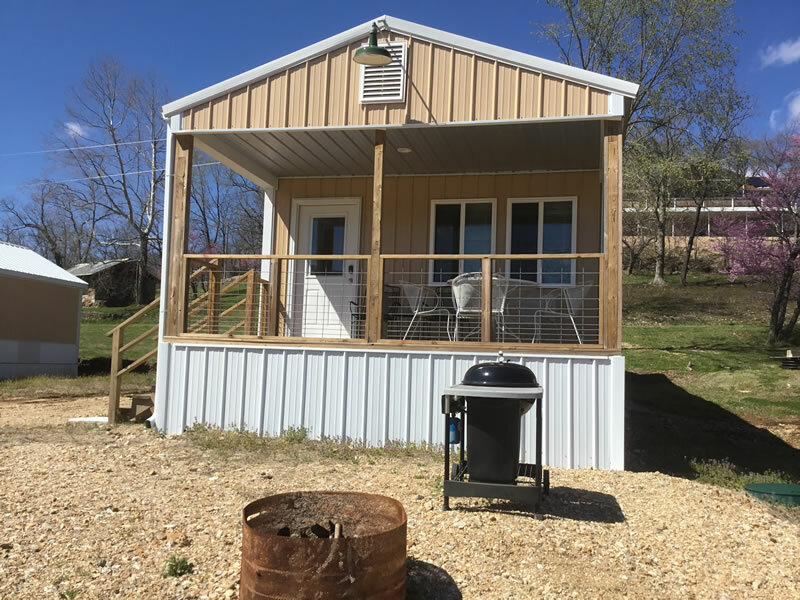 Keepsake Cottages is family owned and operated, offering vacation cabin rentals at the Lake of the Ozarks. We offer the ideal destination for your next vacation! This cottage has all the amenities needed for a quiet, relaxing getaway. This cottage is approximately 480 square feet. The cottage is a studio and is fully furnished. There is a queen size bed, (all bedding, extra blankets and pillows are furnished). In the lounge area, there is a TV/DVD player along with an electric wood stove, a comfortable chair and a sofa that makes into a full-size bed. The kitchen has a movable island with 4 stools, stove/oven, coffee maker, toaster, microwave and a full-size refrigerator. Plates, cups, glasses, wine glasses, utensils, pots and pans can be found on the shelves and in drawers. The bathroom has a large stall shower, tall toilet, hairdryer, towels and washcloth for each person (lake towels are not furnished). The cottage has heat and A/C to keep you comfortable. There are a charcoal barbecue grill and campfire ring. (bring your own charcoal and lighter fluid). You will find all the amenities needed for a great fun-filled getaway. 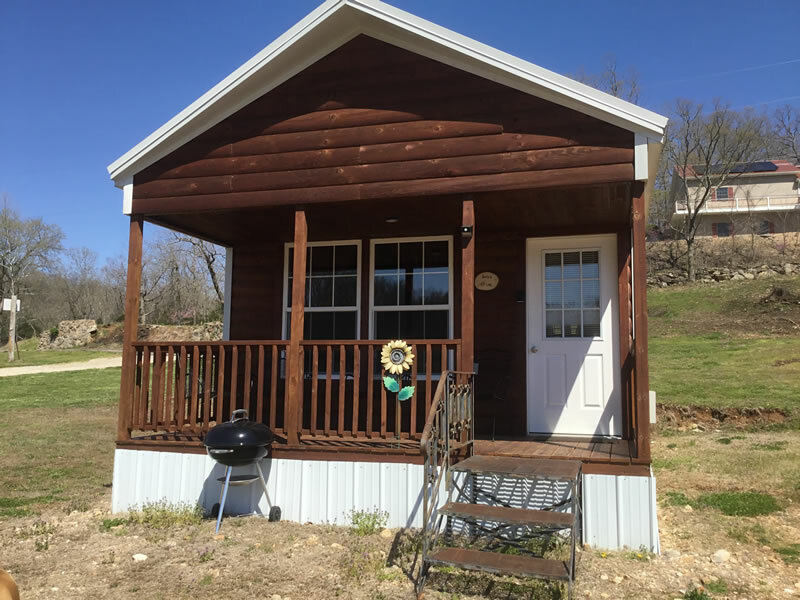 Lazy Daze cottage is fully furnished, this cabin can easily accommodate up to six people. The bedroom has a queen size bed and full-size sleeper sofa. The living area has a sleeper sofa. The kitchen is fully stocked with pots/pans glassware and silverware, toaster, coffee maker, stove/oven, refrigerator and microwave. All bedding and bath towels are furnished. Just off the deck, you will find a charcoal barbecue grill and a campfire ring. A deposit of one nights lodging, or one-half of the total lodging amount (whichever is larger), is required. This can be secured by credit card, or by personal check. NOTE: All online reservations require a 2-night minimum stay. If you desire 1-night lodging only, please call for availability. If the reservation is cancelled 30 days prior to arrival, the deposit will be refunded less a $25. or 5% of deposit; whichever is greater. No refund if cancelled less than 30 days in advance (unless the accommodations can be re-booked to another party). Only a ½ mile off highway 5 on Keepsake Road in Gravois Mills, Missouri. By water, we are in Soap Creek Cove near the 6 MM of Lake of the Ozarks’ Gravois Arm. There are several great restaurants nearby by water or by land. Copyright © 2019 Keepsake Cottages. All Rights Reserved.